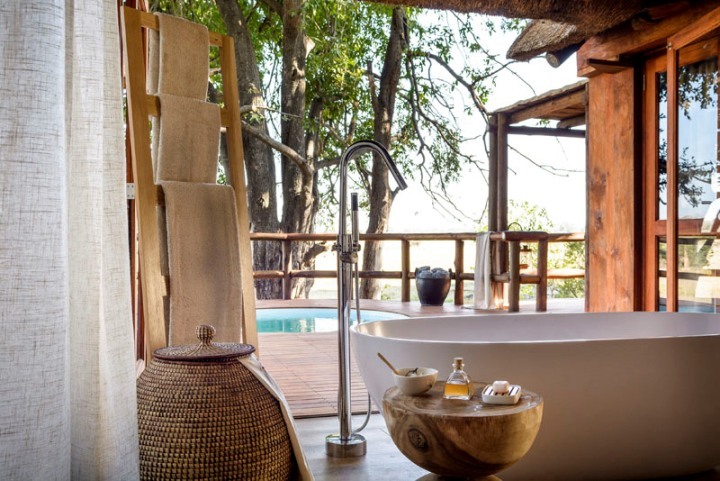 There is a wide range of accommodation available to suite every taste and budget from luxury lodges on and around Chief's Island to public campsites on the dry land region of Moremi Game Reserve. 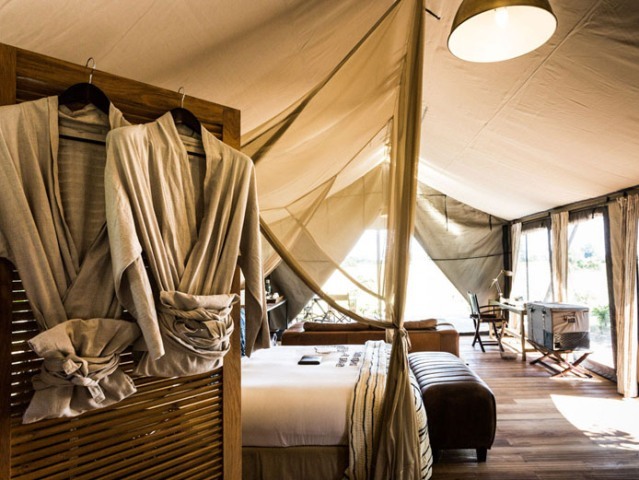 The small luxury camps are typically on private concessions and offer fully inclusive accommodation, pampering guests with delicious food and drinks, and a range of activities with safari guides. 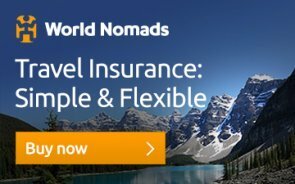 Being on private concessions means that there isn't any public traffic, and excursions are exclusive to guests staying in the camps. 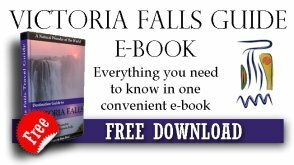 These luxury lodges are located on Chief's Island, the ridge to the north of the island, and on Xakanaka Concession. Around Chief's Island, there are actually very few camps - five to be exact. Mombo Camp, Little Mombo and Mombo Trails are on the northern ridge of the island. Sanctuary Chief's Camp is right in the heart of the island. On the southern edge of the island is Sanctuary Stanley Camp. 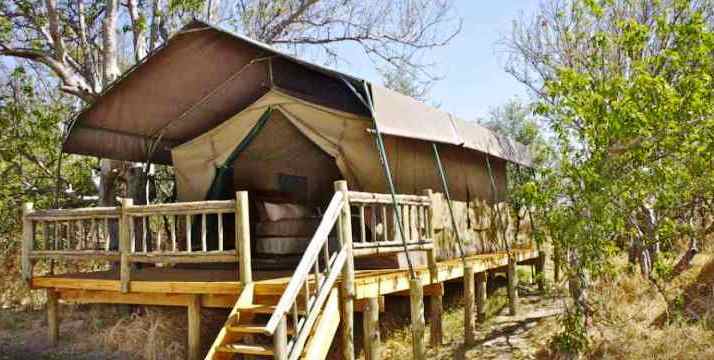 Other luxury camps are dotted around outside the perimeter of the island as well as along the border of the Moremi Game Reserve. 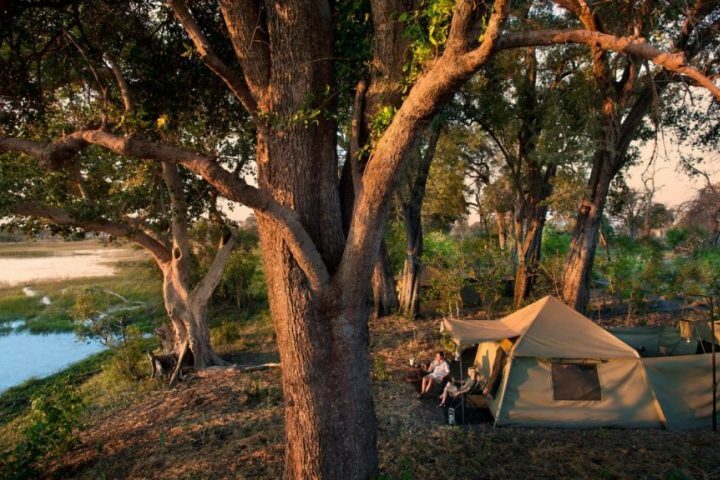 There are four public campsites for self-drive visitors at South Gate which has nine campsites, Third Bridge on the edge of the delta with nine camps and six safari tents, Xakanaka at the edge of the Xakanaka Lagoon with ten shaded campsites, and Khwai Camp near the Khwai Gate on the banks of the Khwai River, which has ten campsites. 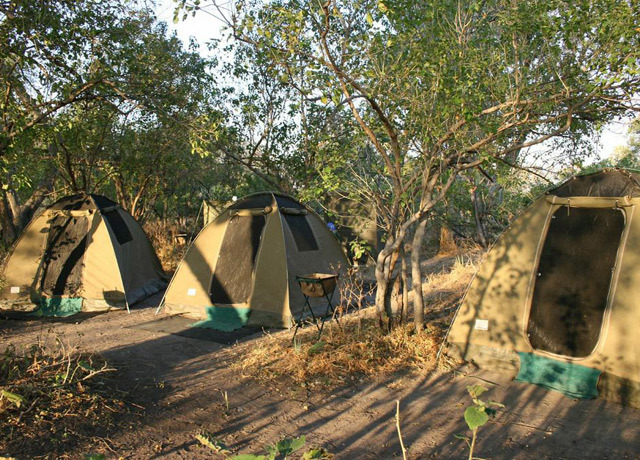 These campsites provide only the basic facilities, i.e., braai stands and ablution blocks. 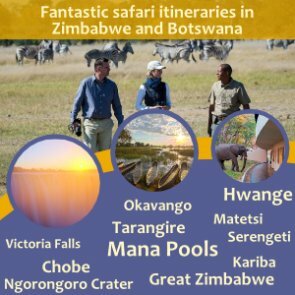 There are activities available near the camps including game drives, boat and makoro trips, bush walks and more. 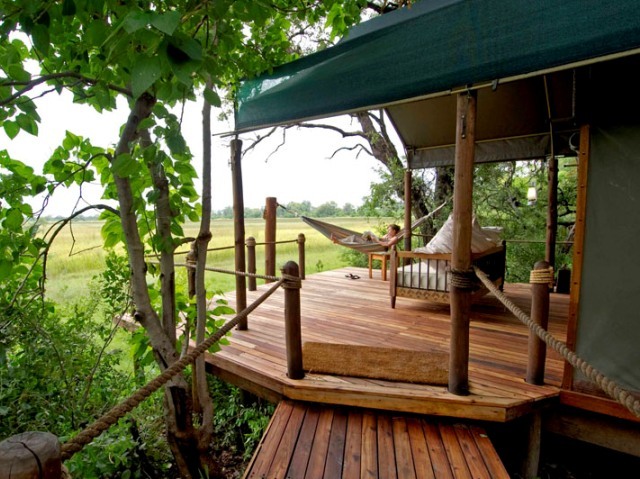 For game reserve rules and regulations, visit our Botswana Information page.